ROTOR Tower Crane Rescue System has been configured specifically for the construction industry but adaptable for many others. A self contained rescue system for recovery of a fallen person or casualty from a tower crane cab, jib or ladder by lifting or lowering. heightec’s tower crane rescue system is designed to rescue a fallen person or casualty at high elevation who is unable to help themselves. The ROTOR Tower Crane Rescue System is compact and easy to use, supplied in easy to carry, durable kit bag. For recovery of a fallen person or casualty from a tower crane cab, jib or ladder by lifting or lowering. The system is specially designed to allow automatic self evacuation, giving limited maximum descent speed. The heightec ROTOR constant rate descender with lifting capability and maximum speed limiter. The ROTOR is designed to rescue casualties from a tower crane, jib or or ladder by lowering or lifting. Comes with 9.5 mm rope. Ultra compact DELTA casualty harness, one size fits all. Lightweight and easy to fit to an incapacitated casualty. 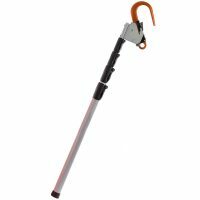 Locking extendable telescopic rescue reach pole extends for 3.5 m, which allows immediate connection to a person hanging suspended after a fall, on an extended energy absorbing lanyard. 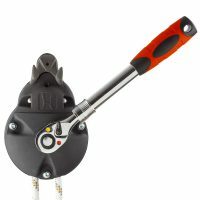 Single stainless steel pulley – provides mechanical advantage to raise a load or deviate a rope. Protected slings with fluorescent colour sleeve, movable for inspection. The compact ROTOR Tower Crane Rescue System comes complete with a durable 50L KARI bag (WLL 18 kg). 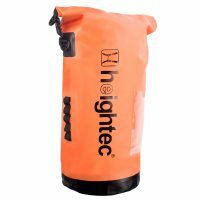 Throwline comes complete in KARI 5, 5L transport bag for attachment to harness or belt. Available in two sizes: 50 m or 100 m.
Although designed for construction it can be applied to industries such as warehouse and distribution with high bay access and very narrow aisles.